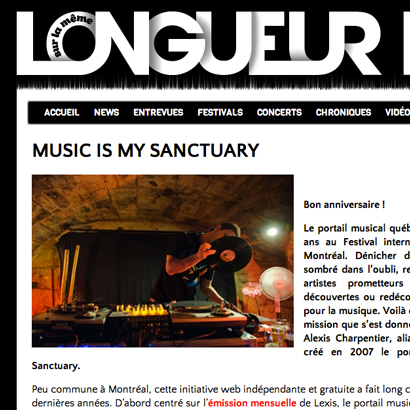 Here is a really cool article on the celebration of our 5th anniversary by french magazine “Longueur D’Ondes”. Really flattering coming from an organization that have been doing great work for 30 years! The article is in french, but maybe we’ll translate it for you all.